Comments: Addie KNOWLDEN (Nee: ) | PA United States | 1921-1940 | Comments: Real Photo Post Card, postally unused. 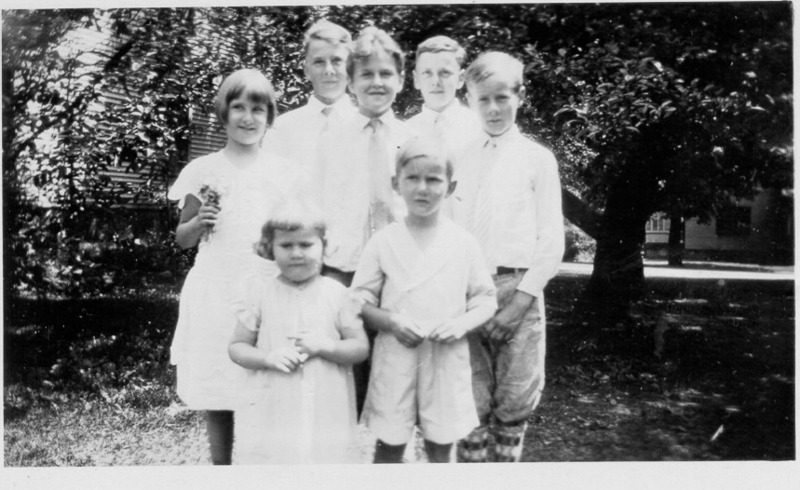 Reverse says Russell 12 Charles 13 yrs Jean 8 Bruce 10 Warren 9 yrs Addie 3 Louis 5 yrs Best Wishes for a Merry Christmas Our Family Bert and Kathryn Knowlden Bruce was born 1920, this picture thus ~1930. Location from WorldConnect records.